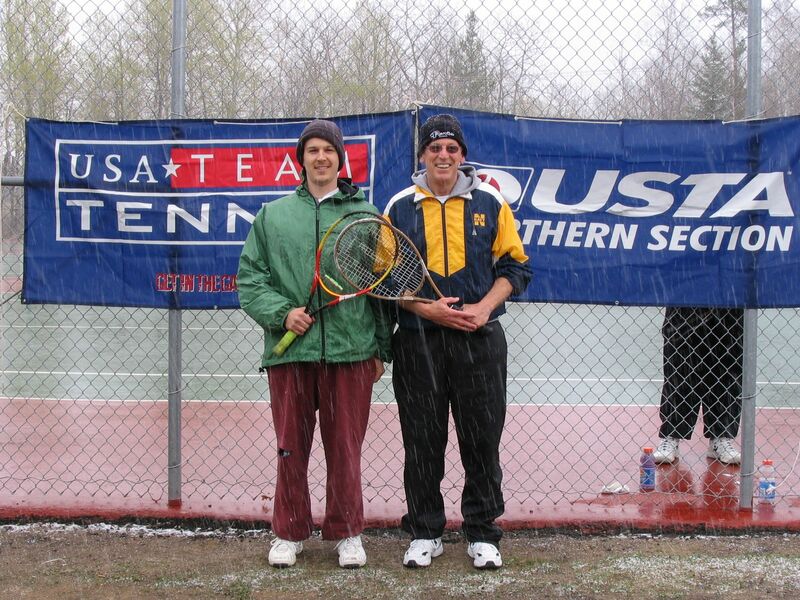 The father	and son team of Larry and Nate Schuette,	adorned with stocking caps and jackets, were Champs of	the 2005 Sping Men's Doubles Tournament playing through rain and snow to win this years six team event. Their trip to the championship included the following opponents:	Bill Belford	/ Bob Lintelman and	Steve Konecne / Dan Moen. Great playing Team Schuette! !